**CLOSED GOOD FRIDAY APRIL 19, OPEN SATURDAY APRIL 20 FOR OUR EASTER WEEKEND SALE 9-6** Absolutely stunning Luxury vehicle!! 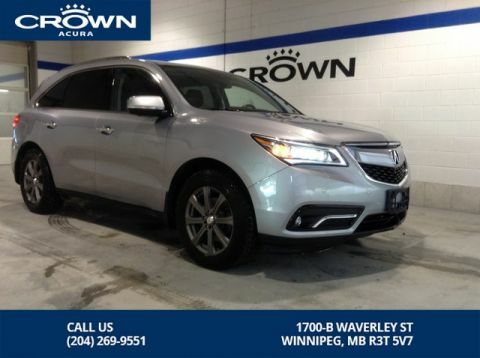 This MDX Elite gets you the top of the line when it comes to features. Navigation, bluetooth, back up camera, heated seats, DVD player, upgrade wheel package, upgraded sound system and so much more. 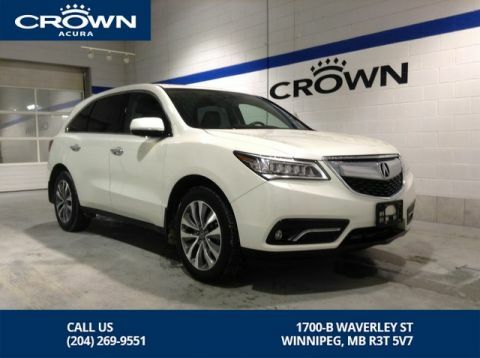 This MDX got the highest reconditioning standards our shop offers. We installed brand new all season tires, front brakes and rotors, rear rotors, two front struts, and flushed the fluids!! Come see why we go the extra mile when it comes to our used cars so you can purchase with your mind at ease! Price does not include PST & GST Dealer Permit # 1387 . While every reasonable effort is made to ensure the accuracy of this information, we are not responsible for any errors or omissions, please verify information in question with our sales team at 204-487-1858, sales@automaxcanada.ca. 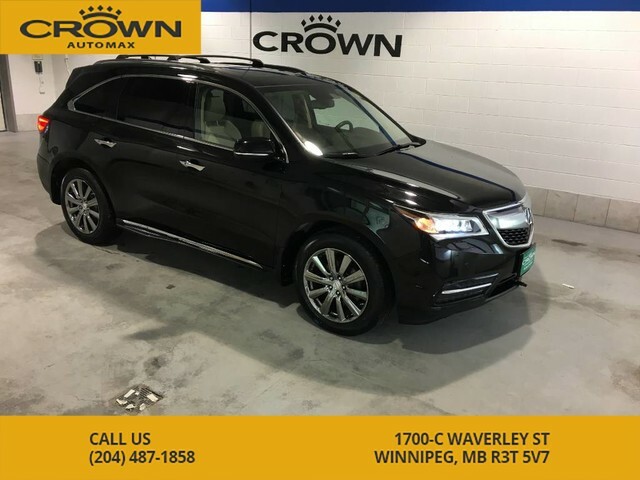 For a straightforward, personal approach to the car shopping process, choose Crown Automax in Winnipeg, MB, CA. 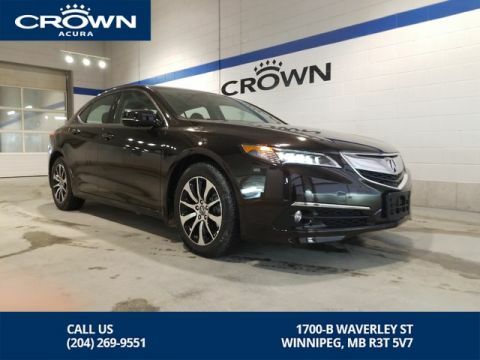 We are a family owned and operated dealership and continue to be recognized as Winnipeg’s No. 1 pre-owned vehicle supercentre. At Crown Automax we make it easy to find the vehicle of your dreams and provide an incredible selection, friendly team of experts and low prices. Our team does all the hard work for you and is here to make the shopping process as quick and as easy as process.